Yea Sacc 1026, a probiotic, has been shown in studies to significantly increase the levels of "good" bacteria in a horses stomach microflora, whilst decreasing the levels of "bad" bacteria. A healthy microflora, which is the bacteria & other micro-organisms found in your horse's digestive tract, has been shown to be key to performance levels, as well as effective digestion. 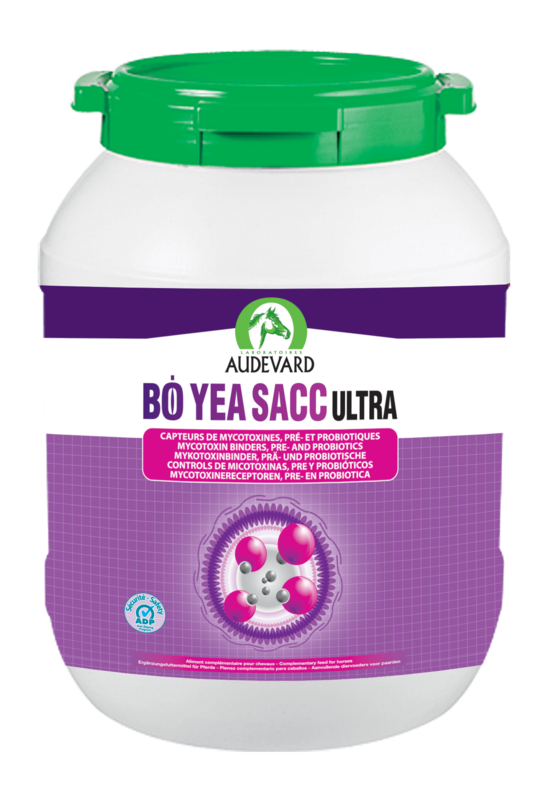 Bo Yea Sacc Ultra is so beneficial, as it also contains Mycosorb A+, which binds mycotoxins. Mycotoxins can be harmful to your horse, but they are very common, research has shown that 75% of the global raw food production contains at least 1 mycotoxin! Bo Yea Sacc Ultra is very useful to give to horses who you want to get more nutrients from their feed or those who don't seem to be thriving; it can also be used in horses who you just want to improve their overall digestive wellbeing.